​In 2017, California had the highest percentage of unsheltered homeless individuals in the country, at slightly under 70%. From 2016 to 2017, the state experienced one of the largest increases of homeless families in the nation, leaving 1,000 more families on the street. Outside of homeless families, 58% of the nation’s unsheltered homeless youth reside in California. With a small donation of $25.00, you will help us provide hygiene care bags for those in need. We are a 501(c)(3) non-profit organization, so all contributions are tax deductible. 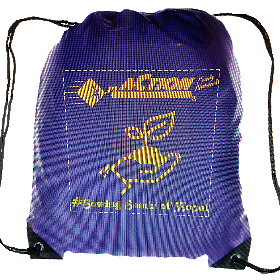 Branded back packs with ten hygiene items will be donated to homeless women, children, homeless community college students, and shelter residents at Homeless Intake Centers for Service Providing Areas (SPA) 7 population.